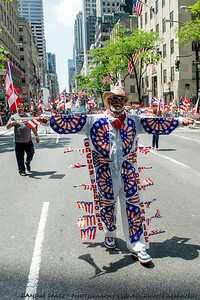 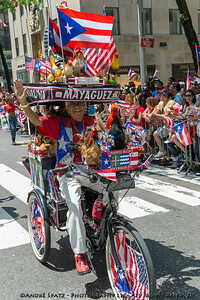 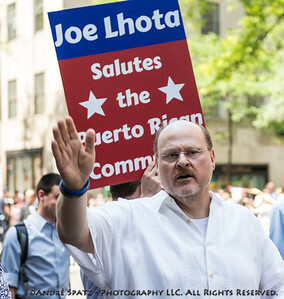 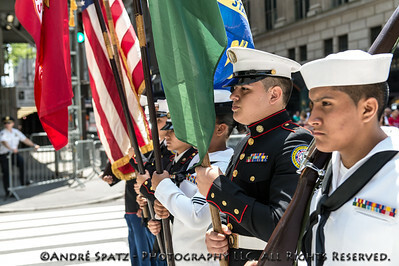 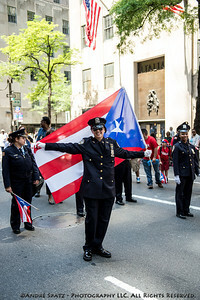 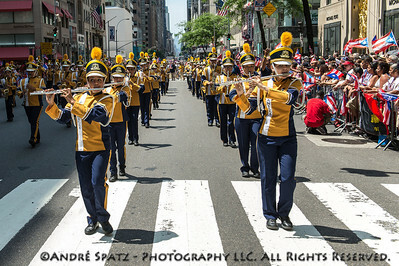 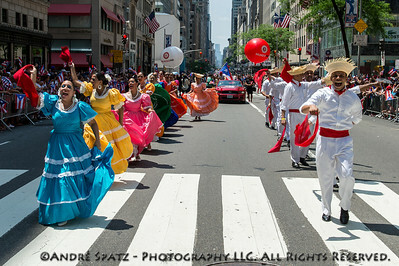 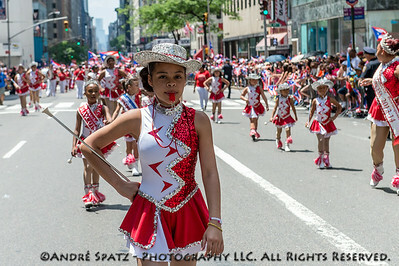 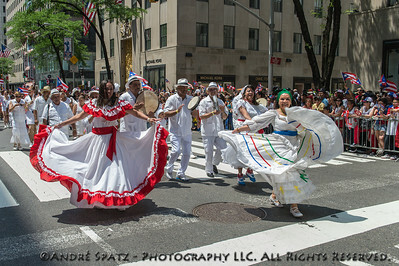 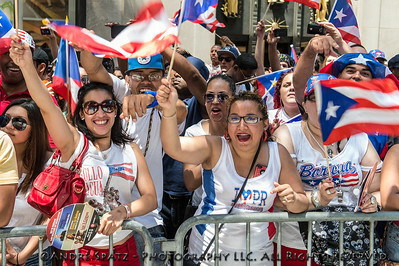 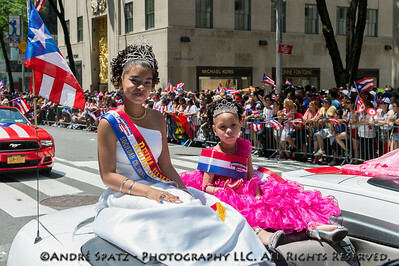 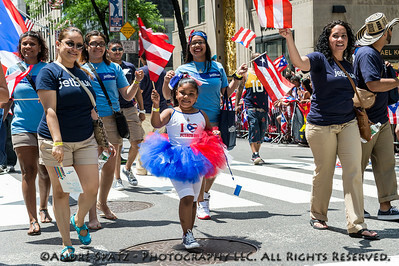 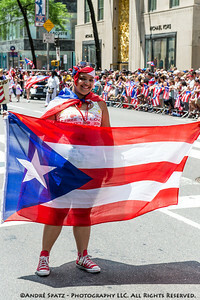 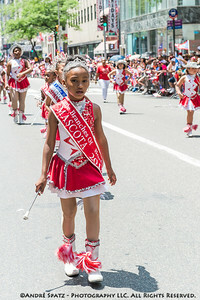 At the 56th New York City Puerto Rican Day Parade more than 80,000 participants and two million spectators crowded the parade route on Fifth Avenue to see and cheer elected officials, celebrities, traditional costumes, music and dancing. 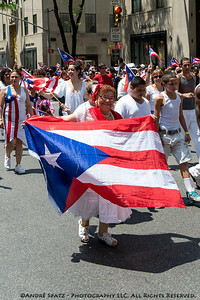 Huge crowds celebrating the Puerto Rican Day Parade on Fifth Avenue with flags. 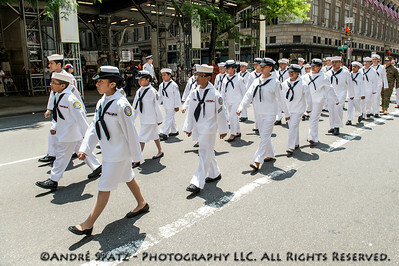 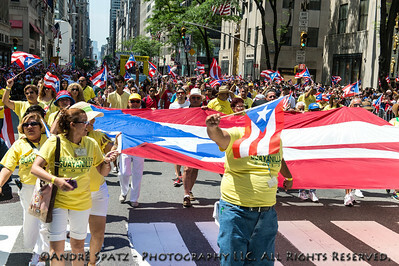 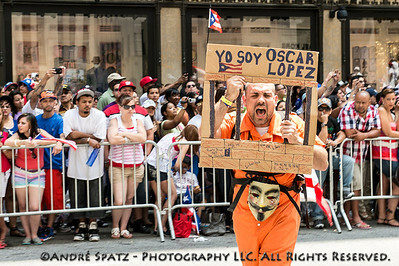 Scene from the Puerto Rican Day Parade in NYC. 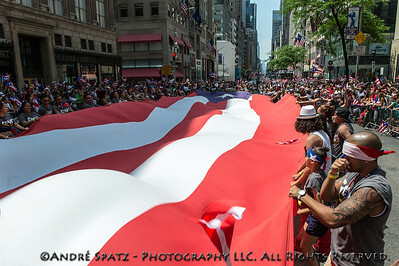 Huge Puerto Rican flag covering half a block on Fifth Ave. 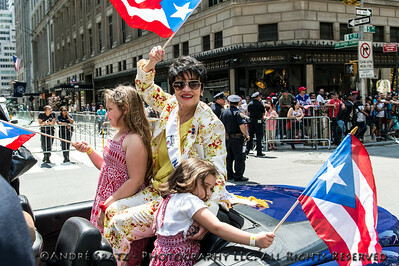 The parade's Grand Marshal -Tony Award-winning actress and singer Chita Rivera during the parade. 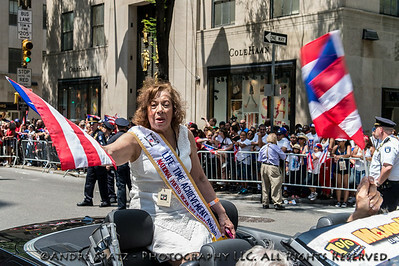 The Life Time Achievement Award recipient Dr. Aida Rosa during the parade. 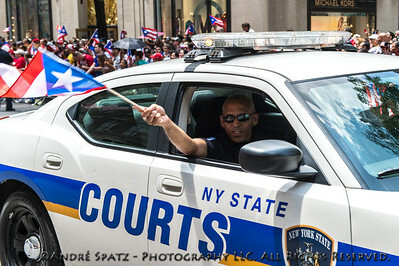 Scene from the Puerto Rican Day Parade in NYC. 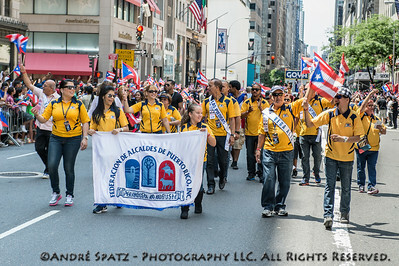 Banda Escolar S.U. 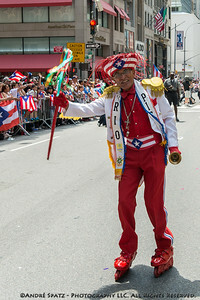 Macana of Guayanilla during the parade. 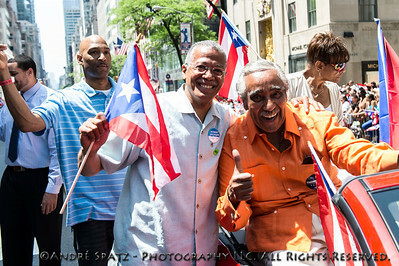 Bronx Borough President Ruben Diaz and fmr. 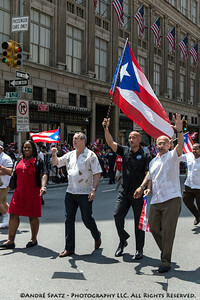 NYC comptroller and mayor candidate Thompson in the Puerto Rican Day Parade. 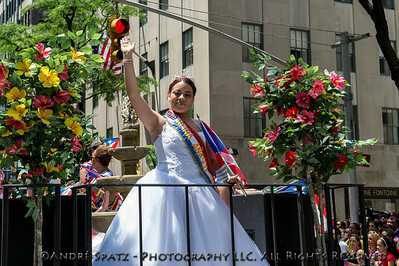 Reina Juvenil de la Sociedad Cultural Mayaguezana Inc.
Miss Piel Canela 2012 Reina Teen - rides atop a car in the parade. 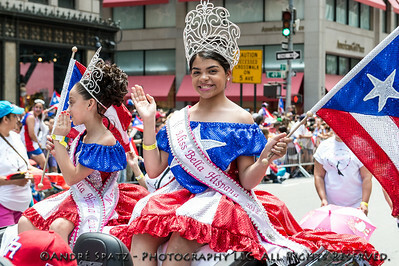 Little Branches of Borinquen Inc. Bronx, NY, perform. 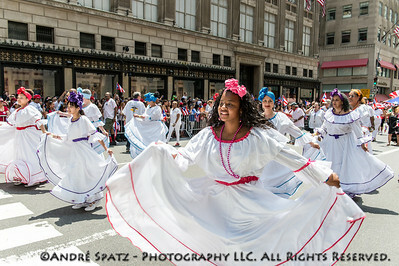 The Family Institute Inc. dancers. 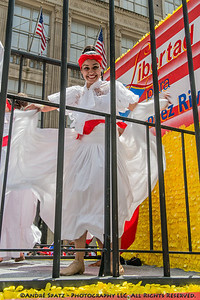 Miss Bella Hispana 2012 of Springfield, MA, during the parade.